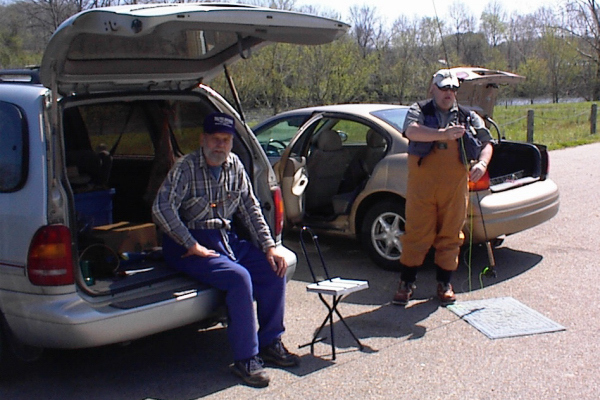 I fished Maramec Springs Trout park on saturday for opening day of C&R Fishing with Craig Peterson and Mark Kotcher. It was a beautiful day, which of course brought out the crowds. As far as C&R season goes, I found the park very crowded. The water was up and murky, so it made sight fishing a little tougher. Everyone seemed to congregate in the places I like to fish — most everyone with a fly rod other than Craig, Kotcher, and myself were throwing big glo-balls and catching fish at ease. We did not venture to the dark side, but the thoughts did venture our mind. I was able to squeeze out about 12 fish within the last hour of fishing on an BH Olive FlashABugger (size 10). 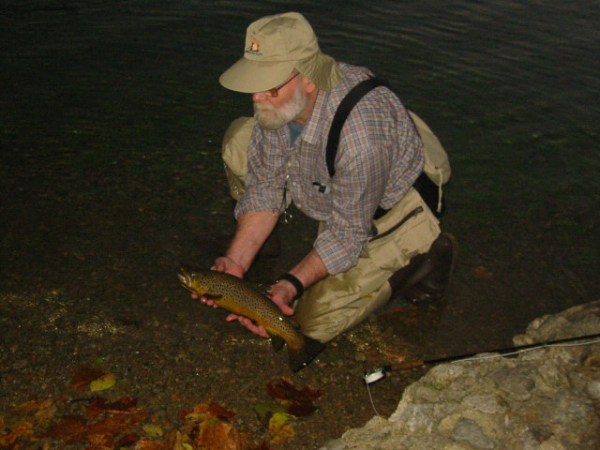 I hooked an absolutely beautifully orange brown trout (which I find rather unusually at Maramec Springs) that would have been close to 18″ but didn’t get a good hook set. All in all it was a good 4 hours of fishing. We were back in St. Louis by 2pm. I didn’t take my camera out of my bag this trip — so no photos (sorry). Not much to report this trip.